Dissolve the yeast in lukewarm water then add salt and about third of the flours and mix with a spatula. Add remaining flour and the oil and knead by hand or if you prefer in bread machine or with KitchenAid using the dough hook. 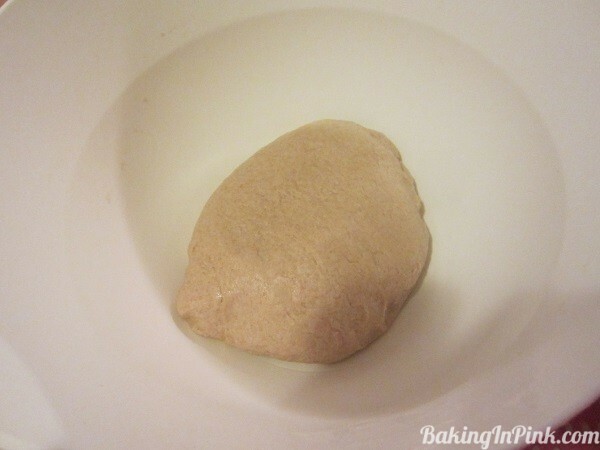 Continue kneading until the dough is elastic and comes clean off the bowl. 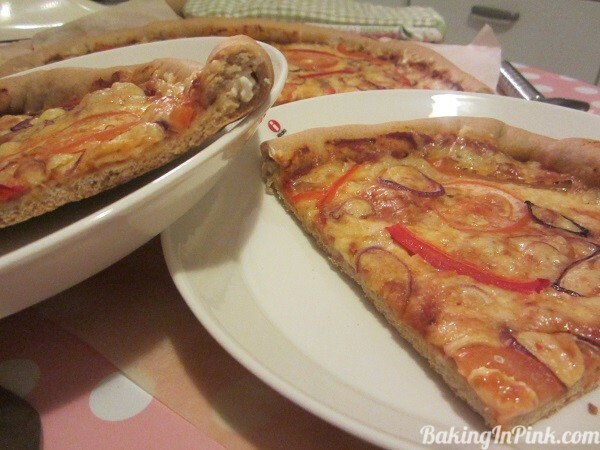 Cover the bowl and leave it to rise for 20-30 minutes while you prepare the toppings. Place the canola oil in a pot and heat on a stove. Add crushed garlic and spices to the hot oil and mix. 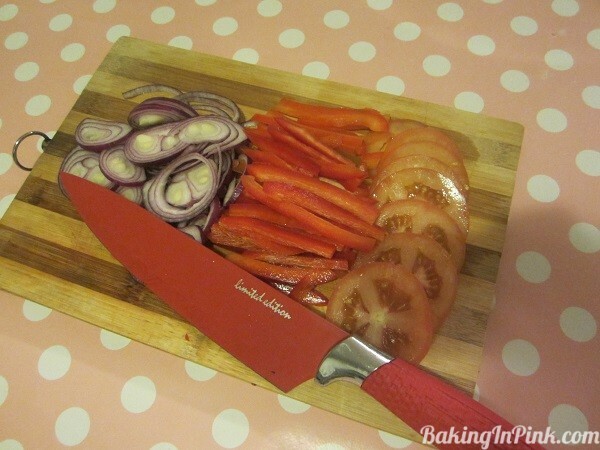 Add tomato sauce, bring to boil and then simmer for 15 minutes stirring occasionally. 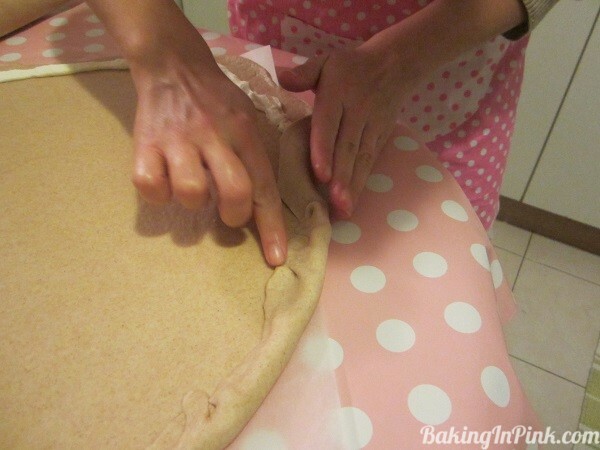 Preheat oven to 250ºC and line a baking sheet with a baking paper. Cut the vegetables, grate the cheese and place the cream cheese in a piping bag or a Ziploc bag with one end cut open for piping. 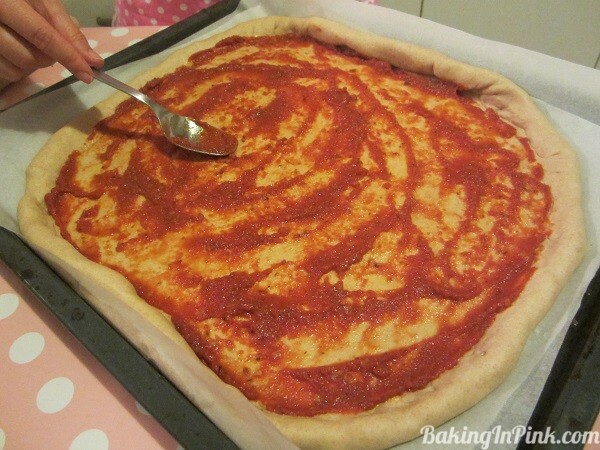 Lightly flour a surface big enough to roll our a family sized pizza. 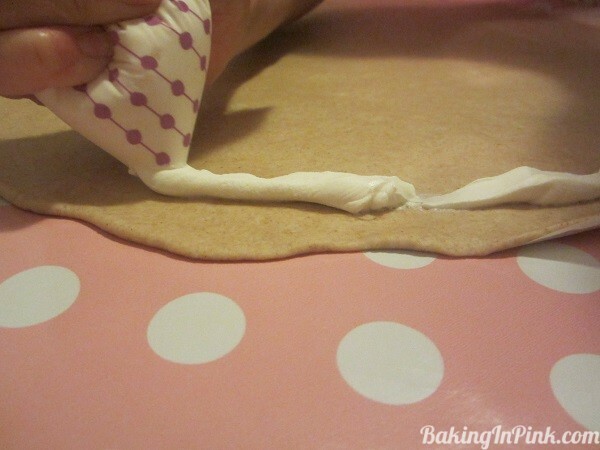 You may roll it directly on a baking paper to make the move to baking sheet easier. 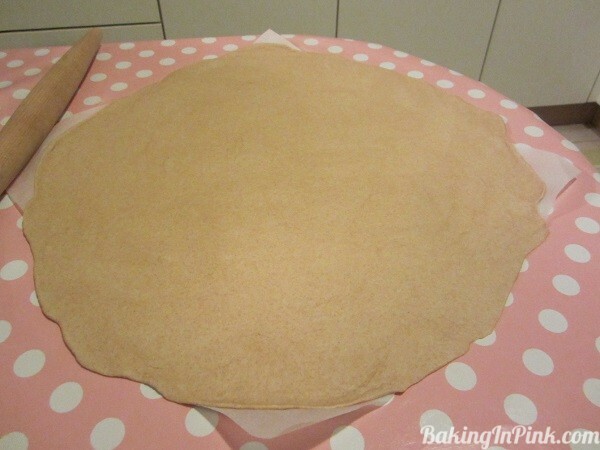 Take your risen dough and roll it our in to as big round as you can do without holes. Pipe the cream cheese about 3cm from the edges, going all the around. Fold the edges over the cream cheese pinching the ends so it won’t open up in the oven. 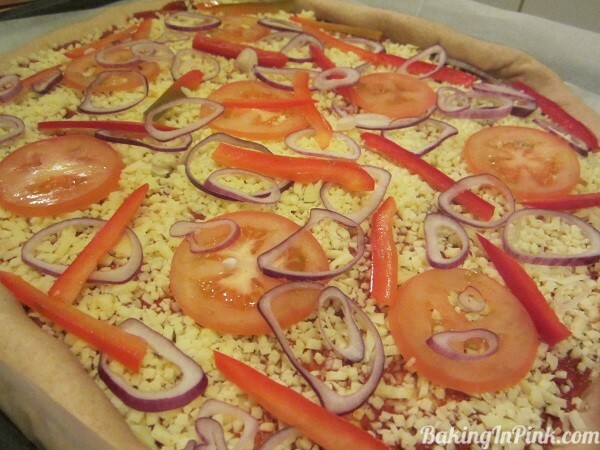 Add the grated cheese and rest of the toppings. Bake in your preheated oven for about 25 minutes. Serve hot accompanied with a nice green salad and glass of wine.